With freight bill factoring, discounts are available at the pump. You can manage your expenses with an FTS fuel card. 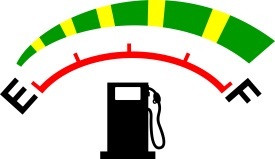 It is a constant challenge to manage and control fuel costs for your fleet. Steady cash flow means less need to worry about fuel costs, and factoring your accounts receivable can certainly help with this, however if paying for fuel can become a little easier, this is an added tool that can work in your favor. Why should you consider a discount fuel card on top of using freight bill factoring for your accounts receivables? And why is it such a benefit? Consider the administrative savings. Your drivers do not have to find the money to pay for gas to be reimbursed later, rather fuel charges for each vehicle can be consolidated and managed electronically. Reporting is in-depth for accounting purposes, and easily accessible online. Imagine the added benefit of typing in your location to check for nearby gas stations that not only accept the fuel card, but also offer discounts at the pump. This simple check can save time when you are on the road. You are also able to check for other services offered such as scales, a restaurant, towing, and if the station is open 24 hours. Once you are a customer, Bay View Funding works with Fleet-Tech Transportation Services to bring you the best discounts at the pump. The process is simple.